A new collaborative study involving 200 scientists from 28 countries has revealed that low dose exposure to common chemical mixtures increases cancer risk. The chemicals were assumed to be safe at low doses. 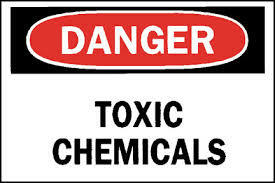 The US Environmental Protection Agency repeatedly advises consumers that these chemicals are safe. The researchers reviewed the activity of 85 chemicals not considered to be carcinogenic over a three year period. The analysis consisted of reviewing hundred of laboratory studies, comparing cancer information databases and using models that predict cancer development. The chemicals included bisphenol A (BPA), used in plastic food and beverage containers; rotenone, a broad-spectrum insecticide; paraquat, an agricultural herbicide; and triclosan, an antibacterial agent used in soaps and cosmetics. The research findings specify that 50 of the 85 chemicals disrupt functioning of cells in the low, presumably safe levels at which most people are exposed to. Thirteen chemicals had a dose dependant threshold level. “Our findings also suggest these molecules may be acting in synergy to increase cancer activity,” said William Bisson, an assistant professor and cancer researcher at OSU and a team leader on the study. “For example, EDTA, a metal-ion-binding compound used in manufacturing and medicine, interferes with the body’s repair of damaged genes.